The Microsoft Band 3 was cancelled before the fitness tracker hit the market. 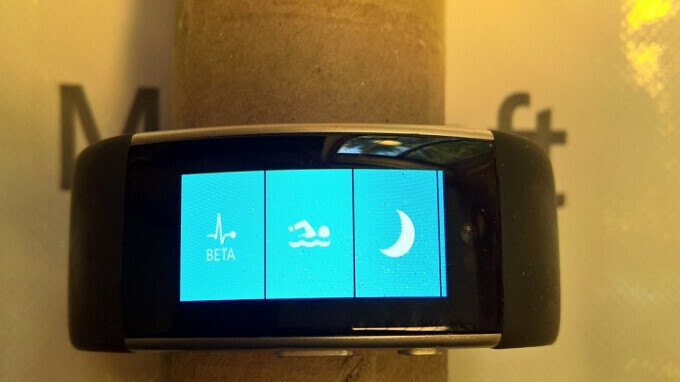 However, a prototype of the device was recently discovered and it included some useful improvements over the Band 2. Thanks to Electrocardiogram (ECG) sensors, the Microsoft Band 3 would have provided more accurate heart rate readings. The sensor would have also given wearers readings on their blood pressure, stress levels and temperature. The Band 3 would have been able to tell users whether they were in good health, or if there was an underlying problem brewing. While the Band 2 was water resistant, the Band 3 was waterproof. This allowed Microsoft to add new features allowing for the tracking of swimming-related data such as the number of laps, breaths per minute, and heart rate. The Band 3 was also slimmer and included a new charger that lowered the time it would take to completely refresh the battery on the unit from 1.5 hours to 1 hour. A scanner was on board to read RFID tags. Some of these changes had been found on another Band 3 prototype that was discovered back in 2016; around this time, rumors hinted that the Microsoft Band series was being 86'd by the gang in Redmond. That speculation turned out to be on the money. Now, two years later, another look at the Microsoft Band 3 confirms that it would have improved on its predecessor and would have given both existing Band 2 users, and those new to the device, compelling reasons to purchase it. Alas, we will never know how well it might have sold and what a Microsoft Band 4 might have offered to consumers. If it had all those feature loke ECG and blood pressure, it would have been at least 5-7 years ahead of competition and I would have used it no matter how ugly it looked. I'm really confused. What is microsoft actually doing? I guess they are trying to hit the reset button and then release all the phones and other hardware under one self flexible OS.